Now that Democrats have taken control of Congress, Senator Bernie Sanders of Vermont and Ro Khanna of California have introduced legislation that would prevent companies with at least 500 employees from engaging in stock buybacks if they do not pay workers a minimum wage of at least $15 an hour. The bill, Stop Welfare for Any Large Monopoly Amassing Revenue from Taxpayers, aka the Screw Walmart Act, would also cap CEO compensation at no more than 150 times the median pay of all workers and provide a mechanism for employees to earn up to seven days paid sick leave. I’m pretty certain that all the dumbed down college graduates and Democratic lackeys are applauding Bernie’s attempt to overthrow Capitalism but one has to ask is this even legal? Does government possess the power to control what employers pay their employees under our Constitution? Do businesses have a moral obligation to pay workers a higher wage than the market demands? Article 1, Section 8 of the US Constitution lists powers granted to Congress. I see nothing there that authorizes any control of wage rates. The 10th amendment reserves to the states and the People, all powers not delegated to the United States or prohibited to the States. That means that only states have the power to pass minimum wage laws without violating the constitution. The first attempt at establishing a national minimum wage came in 1933 as part of the National Industrial Recovery Act. 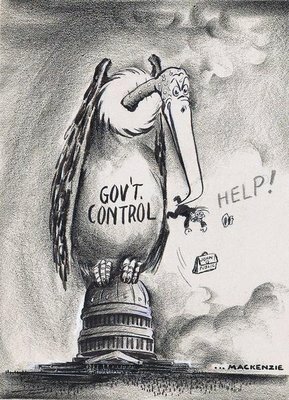 However, in 1935, the Supreme court in Schectner Poultry v. United States, 295 U.S. 495, the United States Supreme Court declared the act unconstitutional, and the minimum wage was abolished. It was reestablished in 1938 pursuant to the Fair Labor Standards Act, as federal law applying to employees engaged in interstate commerce or employed by an enterprise engaged in commerce or in the production of goods for commerce, unless the employer could claim an exemption. Of course, since the turn of the century, we are dealing with a government that no longer needs for laws to be constitutional. They simply pass laws that penalize anyone who does not conform to their socialist agenda, and companies comply because the penalties of not embracing the social agenda are overwhelmingly undesirable. We’ve seen the acceptance of this sort of skirt-around of the constitution with regard to the nationally uniform drinking-age law (basically pushed by blackmailing the states with the threat of withholding highway funds) and, I believe, with regard to enforcing an 18-year-old tobacco purchase law (with the threat of withholding billions in smokers’ MSA unlegislated tax payments). And unfortunately, once the public becomes comfortable with this sort of sidestepping the Constitution “for a good cause,” then it will eventually become a simple matter to ignore it altogether for even the smallest excuses. If you can base a law today on either “helping the fight against terrorism” or “saving the children from smoking” almost no one is going to dare to vote against you. While minimum wage supporters only deal with the direct consequences of their idea, they fail to realize the long-term consequences. For some employers in certain fields paying employees above market wages reduces turnover and builds human capital, but, for others, those that employ low-skilled workers, the idea of paying them more than they are worth is a nightmare, not only for the employer but the employee. How can you obtain needed work skills, on the job training and experience if the minimum wage prices you out of the job market? Socialist like Bernie, and apparently Ro Khanna of California, suffer from the same “pretense of knowledge” that F.A. Hayek criticized nearly 45 years ago in his Nobel lecture – the dangerous delusion that they posses enough wisdom to know better than everyone how people should live and the terms under which they can work. Doesn’t freedom demand that every individual have the liberty to decide how best to direct and plan his or her own life? While minimum wage rhetoric may sound good, the reality is quite different. Forcing employers to pay low-skilled workers a higher than market wage decreases the number of workers they are able to hire therefore assigning other low-workers permanent unemployment. Does that seem fair? Economic freedom, not minimum-wage socialism, is the key to reducing poverty. In America, the majority of low-income earners typically move up the income ladder by improving themselves, through education, through work experience, not because of the minimum wage. Policies that increase competition and choice in public education, reduce marginal tax rates on capital and labor, and protect private property rights would be positive steps toward increasing economic freedom, workers’ dignity, and prosperity. Source: Why a higher minimum wage comes back to bite everyone eventually, by Dave Weinberger, the Federalist; Minimum Wage Socialism, Cato Inst. ← Violent, Vicious, Vile, and Venomous Hatred on the Left!